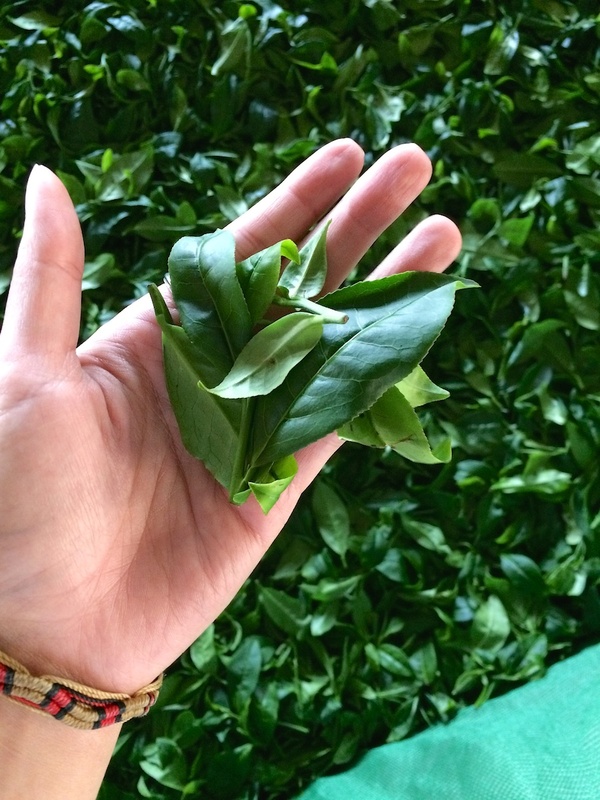 What an amazing and unexpected surprise that I’m here at Chung Tea Company, an award-winning tea producer. I’m about to experience 2 hours worth of glorious tea tasting during my visit at Sun Moon Lake! 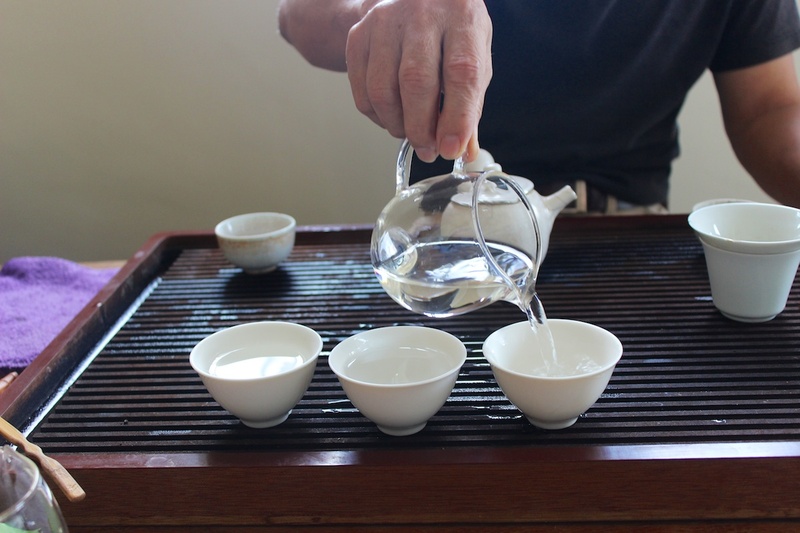 Before coming to Taipei, I knew that I wanted to experience a tea tasting/ceremony somewhere in Taiwan– I just didn’t know where or how I would manage to do it, but I knew that I have to and I won’t leave Taiwan until I accomplished it. Well, the Universe heard my cry and granted me this great opportunity. Of course, this opportunity wouldn’t happen if it weren’t for Daniel’s friend, Eric and his hospitable parents. They, not only, let us stay at their beautiful home, but also, gave us a tour around the breathtaking city. Saying thank you is just not enough to show how much we appreciate their kindness! Now about the tea. This is some of the best tea I have ever tasted! I’m no tea connoisseur, but I can tell that there is a difference in quality and taste. Plus, if it’s worth anything, the owner’s father that was doing the tea tasting for us told me that I was an impressive tea taster. Since they’re a supplier, a wholesaler, they don’t offer this tea tasting/ceremony to everyone. Although, I did encourage them to the idea. Not to worry though, Sun Moon Lake is a tea town and finding a tea retailer that offers this experience should be a breeze. Here, we tasted three types of tea: Oolong tea, Sun Moon Lake Strain 21 black tea, and a 13 and a 35 year old Pu-erh tea. 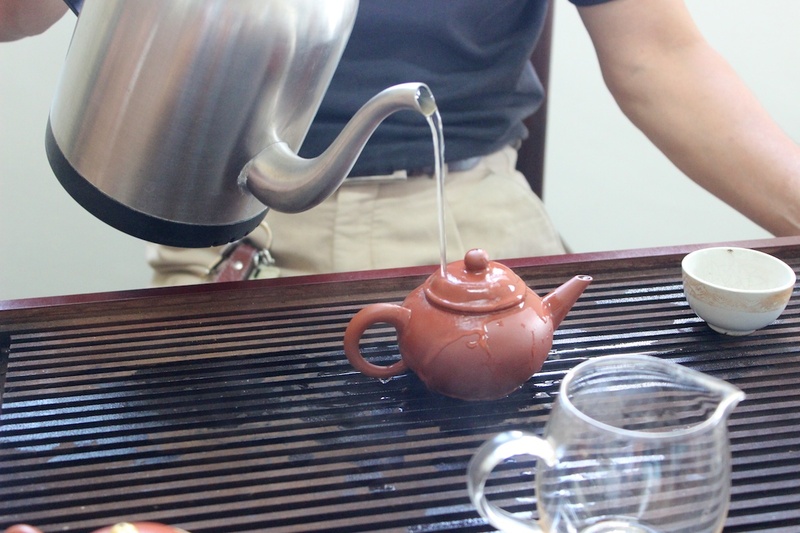 First and foremost, warm up your tea set with hot water to optimize your tea experience. First round: Oolong Tea. During the first steep, the scent of the tea smells like hundreds of flowers blooming after a light rain in the early morning. It’s the most fragrant tea I’ve ever smelled. For those who watched Vice: Fresh Off the Boat with Eddie Huang knows that he always say to throw away the first, but to me, I disagree. Yes, it’s definitely different than the later steeps, but to think that you’d miss out on the light and fragrance floral goodness from the first is blasphemy so don’t rob yourself. 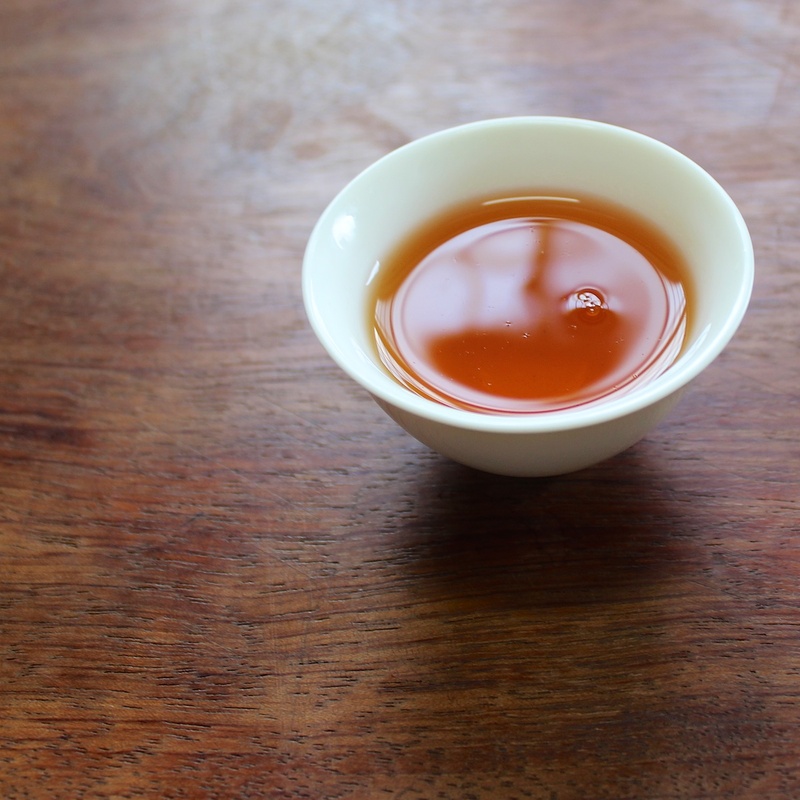 The Oolong flavor profile is flowery and gingery with a light cinnamon taste at the end. It’s a light bodied tea. Second round: Strain 21 black tea. This is the company’s signature tea that won them first place at the tea competition two years in a row. 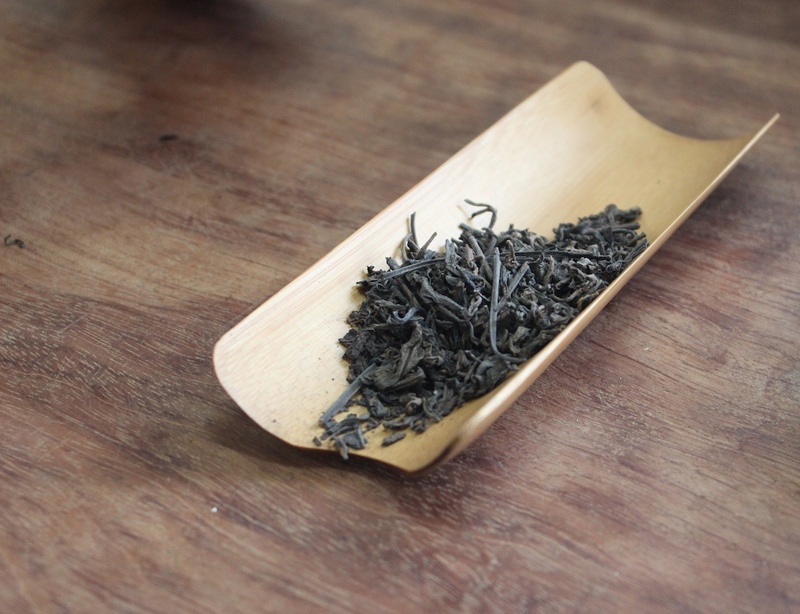 It’s a blend of local Taiwan wild mountain tea and India Assam tea. To me, it tastes and smells like sugar cane with a hint of roasted sweet potato. It has a tannin after taste and it’s a full bodied tea. Third round: Pu-erh tea. 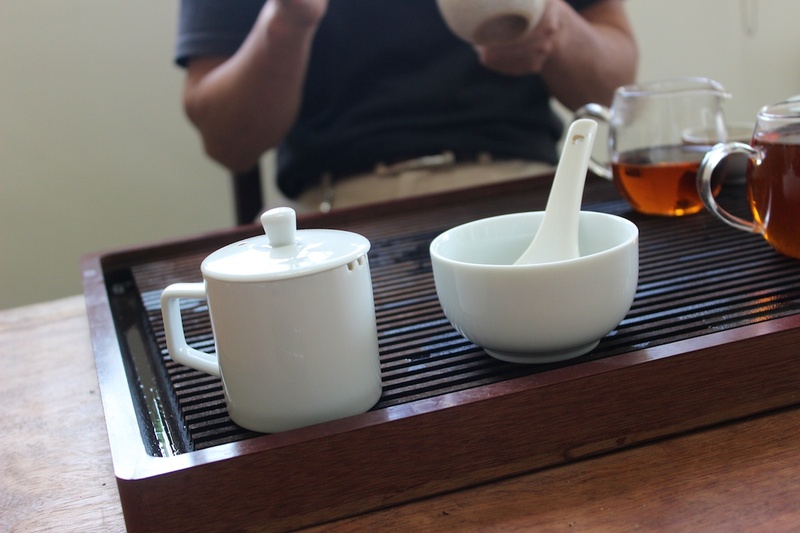 This was a pleasant surprise because we didn’t expect him to pull out his 35 year old Pu-erh tea for us to taste. What is so great about this tea? 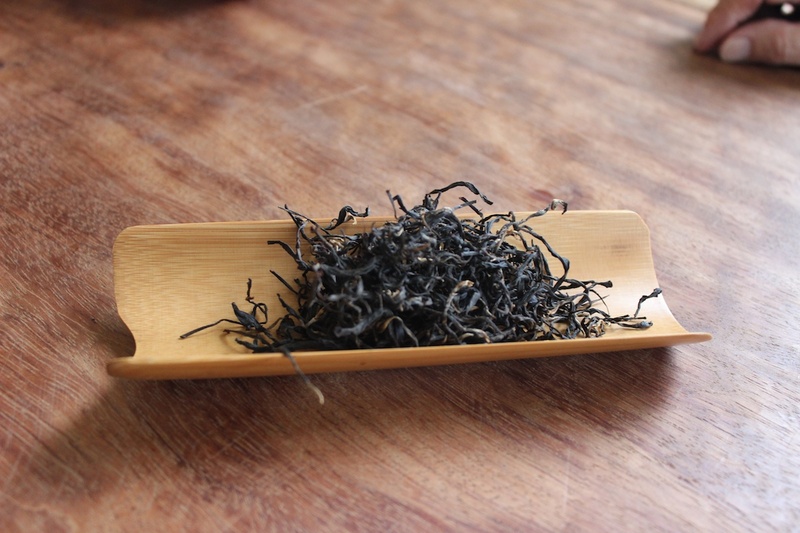 Well, Pu-erh or Pu’er tea is like a fine aged wine that will cost you more than an arm and a leg. This container costs approximately $5,000 USD. 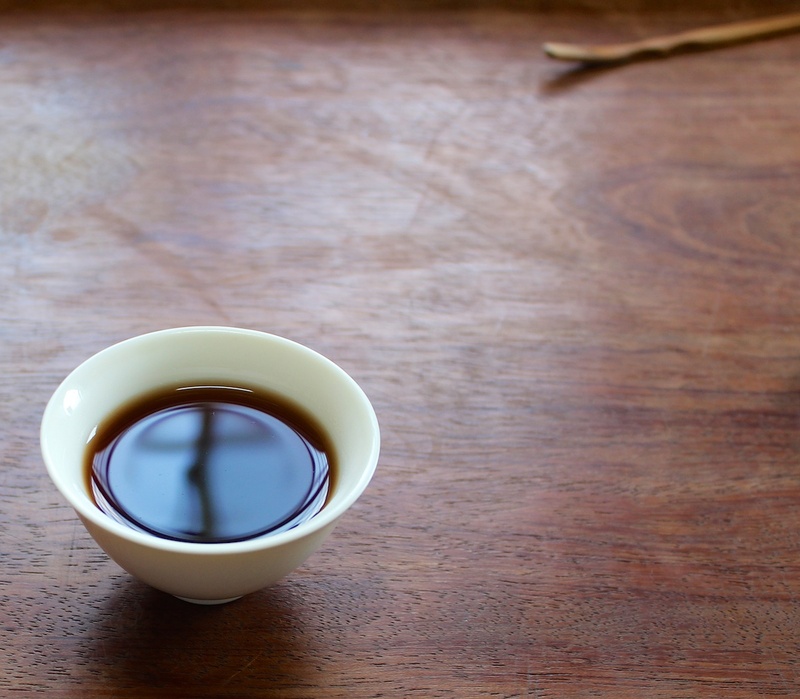 The appearance of the tea is a deep herbal color — like dark red wine. The aroma is fresh and earthy, but lets be honest, it smells like fresh dirt. The first sip tastes like someone found the freshest, untampered dirt in the middle of a remote forest and mixed with water. That actually sounds pretty amazing…haha. The flavor definitely grows on you because it goes down very smoothly and doesn’t have any after taste. Also, knowing that it has anti-aging and cleansing properties doesn’t hurt either. 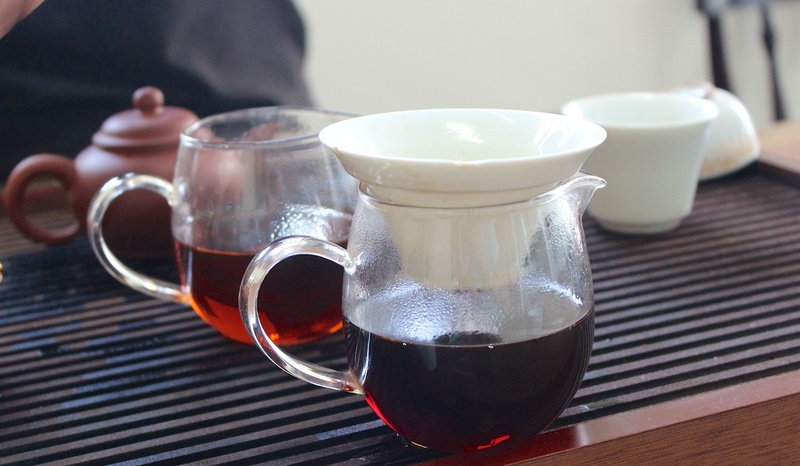 Also, we tasted a 13 year-old Pu-erh and you can see and taste the difference. It’s more bitter and lighter in color. 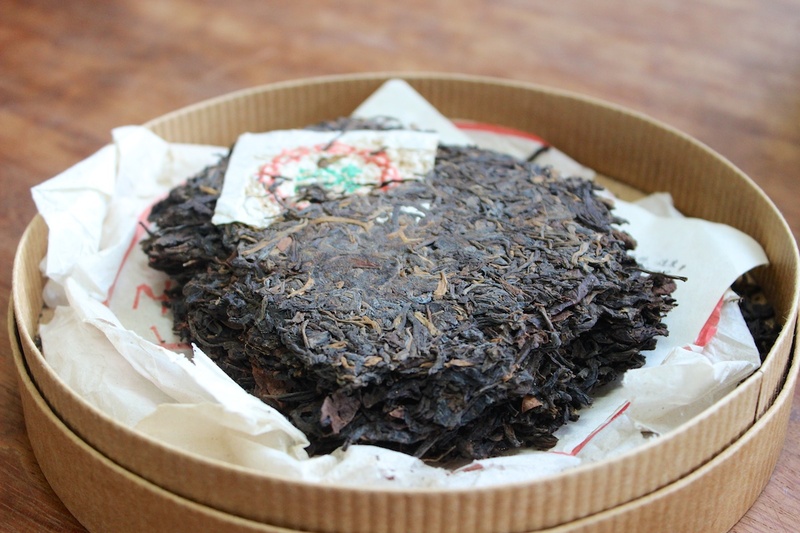 The front pot holds the 35 year-old Pu-erh tea, whereas, the middle pot holds the 13 year-old. 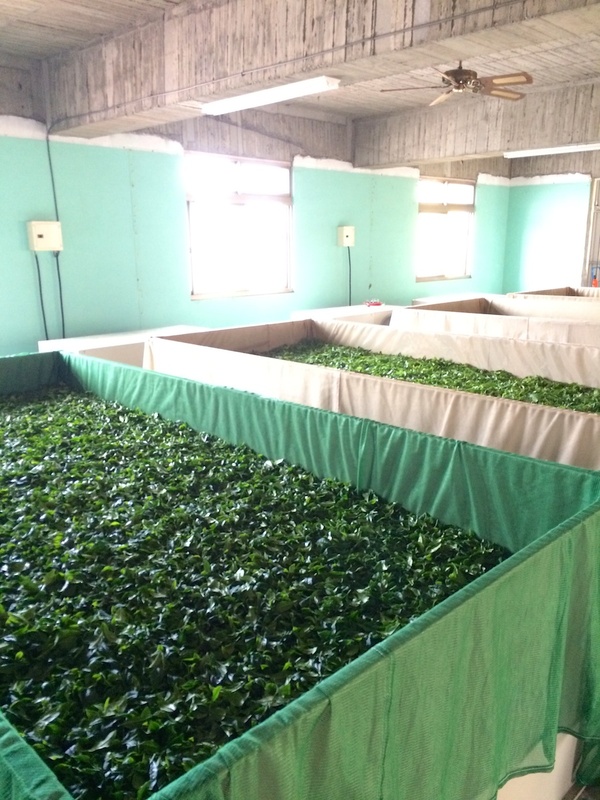 After the ceremony, we toured the facility and a fresh batch of tea just arrived and was undergoing the air-drying process. Upon entering the room, I was hit with a tea bomb — an explosion to what can only be described as me running through fields and fields of flowers. I wished I could bottled the perfume of the tea leaves because it’s the most wonderful and refreshing scent. And, never drink green tea on an empty stomach because it’s too harsh. Black tea is better. A little background on the Chung Tea Company: After finishing his military contract, Jack wasn’t doing much with his life. His father, the guy that was doing the tea tasting for us, gave the him an ultimatum: become a mechanic, a dumpling maker, or a tea grower. The son chose the tea path. 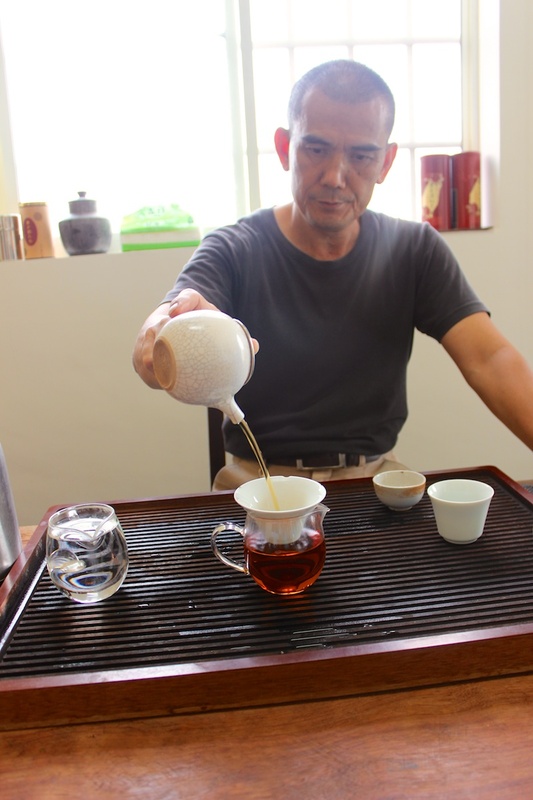 He understudied with the local tea masters for several years before branching out on his own. After he created his version of Strain 21, he entered the Sun Moon Lake Tea Competition where he beat out 300 entries 2 years in a row.